University departments are increasingly treating artistic practice as a kind of research. In the case of choreographer Rosemary Butcher, currently Postdoctoral Fellow in Creative and Performing Arts at Middlesex University, you can certainly see the connection. Over a career of more than 30 years, Butcher has always seemed to be investigating her medium. Her work appears as a series of choreographic enquiries – into the relations between action and image, for example, between system and structure, or sensation and symbol – and it is perhaps this very quality that attracts academics. 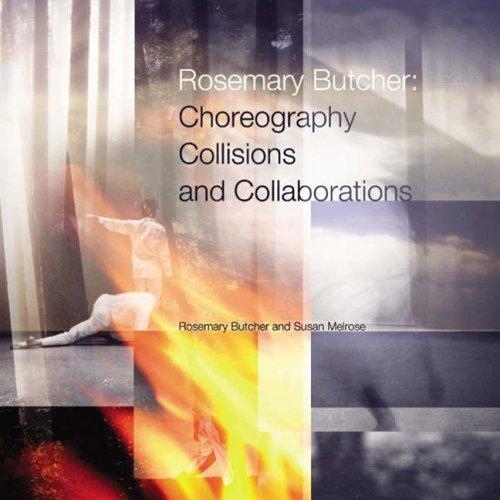 Rosemary Butcher: Choreography, Collisions and Collaborations is published by Middlesex University Press, and academic contributions form a large part of it. Of these, the most accessible to the non-specialist is Janet Lansdale’s clearly written retrospective which teases out Butcher’s characteristic choreographic questions and experimental themes. The result is not a descriptive chronology as such – although Lansdale does provide a time frame – but a portrait of the interests that Butcher has pursued, departed from and returned to over the years. The most specialist chapters (parts of which made my eyes swim and head spin) are those by Susan Melrose and Nikki Pollard. Melrose uses Butcher’s choreography as a point of departure for an extended philosophical reflection on the nature of intuition in perceiving and understanding it. Melrose rightly points out that Butcher’s pieces often appear to hold ‘secrets’, and that spectators can’t necessarily explain how they sense or why they appreciate a work; it is this ‘unknowing’ that Melrose investigates. She also notes – rightly again – that the choreography can often be mysterious and inexplicable even for its creator. This is Pollard’s field of enquiry; having attended many studio rehearsals, she ponders upon the creative process itself, interspersing Butcher’s words with her own reflections – reflections which left this reader wandering, lost, in a hall of conceptual mirrors. Susan Leigh Foster’s chapter is not only a description and interpretation of Scan (2000), but also an attempt to provide a written counterpart to it. Weaving together different themes – the dancers’ performance, the creative process, cultural interpretations, the spectator’s role – it mixes various weights of type to suggest visually the different ways that we simultaneously see, feel and apprehend the work. The book is not only academic in scope, but deliberately sets out to provide other viewpoints and writing styles. Josephine Leask puts Butcher’s work in the context of British dance in general, while Hugh Stoddart’s chapter comes from a visual arts perspective, focusing particularly on collaboration. Robert Ayers’ interview with Butcher also focuses on collaboration, and throws up some surprising statements. To what extent does Butcher’s attitude towards collaboration derive from her experience with the Judson Church Group in 1970s New York? Answer: ‘Not at all.’ How much, if at all, does Butcher actually amend pieces? ‘Never.’ Read the interview to find out more. Bookending this volume are two fascinating views of Butcher’s career to date. It opens with a perceptive and well-written critical appraisal by Nadine Meisner, who has closely followed Butcher’s work for many years. And it ends with a personal, conversational account by the person who has followed it more closely than anyone: Butcher herself. Ed. Rosemary Butcher & Susan Melrose, Middlesex University Press, 2005.